Lauren Myracle is the author of numerous young adult novels. She was born in 1969 in Colorado. 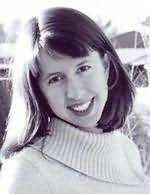 Lauren Myracle holds an MA in English from Colorado State University and an MFA in Writing for Children and Young Adults from Vermont College. she has written many novels, including the famous IM books, TTYL, TTFN, and L8R,G8R. "A big heart + an insanely keen sense of humour = exactly the sort of book I love to read." "I love this book. Like Love it love it. My heart expanded when I read it - yours will too!" "What do sisters and this fabulous novel have in common? Happiness, heartbreak, and hilarity." "Awesome, awesome, and more awesome. Not one wrong note." "Amazing. You will smile and sob and when you finish? You will walk away a better you. READ THIS BOOK NOW?" "So special and perfect and true and right...I'll hold it in my heart forever." "Fabulous, funny, warm-hearted....Read! Read! Read!!!" "Riveting and heartbreaking... a glorious affirmation." "Omigosh, I LOVE Lisa Greenwald's new book. Brilliant, laugh-out-loud hilarious, and heartbreaking (in a good way), 11 BEFORE 12 is probably the best middle school friendship ever!" "Ban This Book is absolutely brilliant and belongs on the shelves of every library in the multiverse."